The Best Marketing Tech Blogs from thousands of Marketing Tech blogs on the web using search and social metrics. Subscribe to these websites because they are actively working to educate, inspire, and empower their readers with frequent updates and high-quality information. Marketing Tech newsletter is a comprehensive summary of the day's most important blog posts and news articles from the best Marketing Tech websites on the web, and delivered to your email inbox each morning. To subscribe, simply provide us with your email address. Indianapolis, IN About Blog MarTech industry's leading publication for researching, discovering and learning how to utilize sales and marketing platforms and technology to grow your business. Facebook fans n/a. Twitter followers 20,009. San Francisco, CA About Blog MarTech Advisor is the world's leading source for marketing technology news, research, product comparisons & expert views. Facebook fans 1,363. Twitter followers 1,206. Boston, MA About Blog A blog by Scott Brinker on the intersection of marketing and technology and the role of technologists in the marketing department. Facebook fans 1,377. Twitter followers 35,379. About Blog The Marketing Technologist is a marketing technology blog on data science, analytics, online marketing, code, web development and more. San Francisco, CA About Blog There are over 1000 marketing technologies out there that help businesses. Feel free to share news pertaining to MarTech here. This is your community. Facebook fans 1,200,144. Twitter followers 563,778. 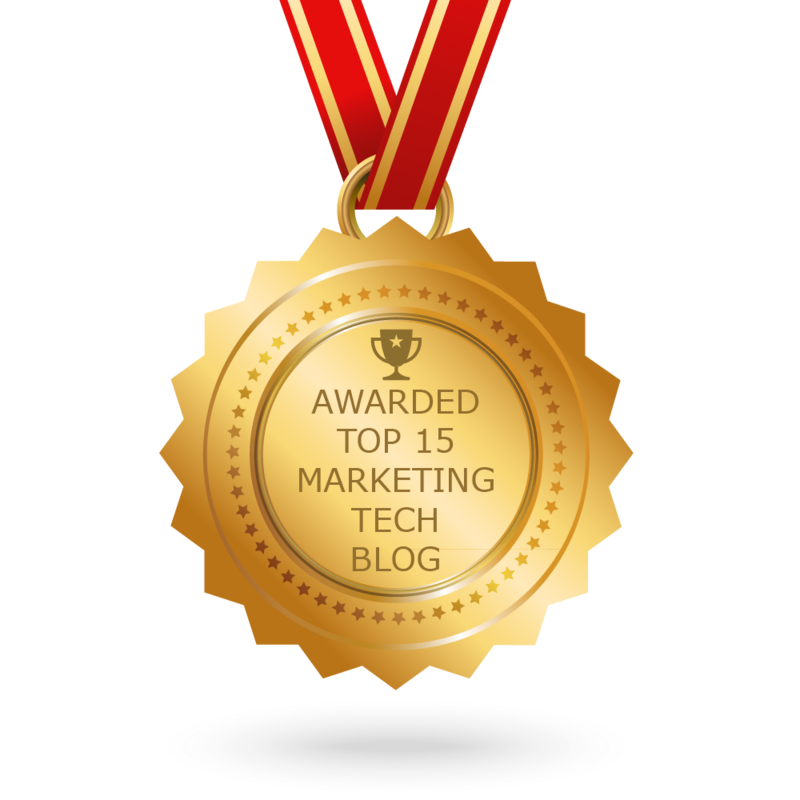 CONGRATULATIONS to every blogger that has made this Top Marketing Tech Blogs list! This is the most comprehensive list of best Marketing Tech blogs on the internet and I’m honoured to have you as part of this! I personally give you a high-five and want to thank you for your contribution to this world.